Our nordic tipis are not what people usually think of when they think of a tipi. And as beautiful as they already are, throw on some lighting and they become simply breathtaking. 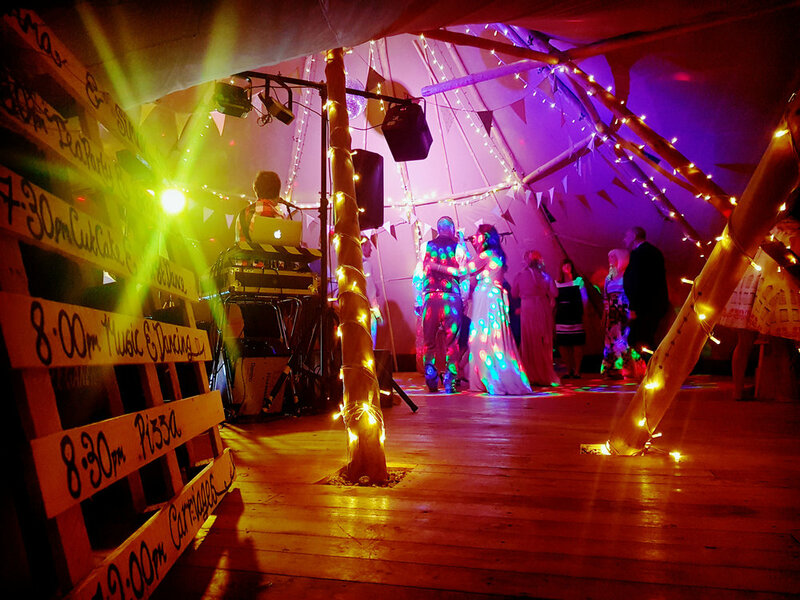 Fairy lights on the poles, festoon lights across the tips, and a rainbow of uplighting and spots will take your event to the next level... fabulous.